The scope of this project was to restore the structural integrity of the M20 London bound embankment following damage caused by extensive burrowing from rabbits. The embankment measures 376m in length. The works comprised of granular replacement of the embankment slope, excavation, a full-depth reconstruction of the hard shoulder. Blu-3 wanted to capture the slope reinstatement of the M20 embankment between Junction 8 and Junction 7 (London Bound) with time lapse for a visually appealing marketing tool and also to track progress. Filming of the slope reinstatement took over 4 months to complete. Watch the time lapse video below. We are continuing to capture the next phrase on Lavinia Walk at Cholmondeley Castle Gardens in Cheshire. Lavinia Walk links the Temple Garden to the newly renovated Rose Garden and is a tribute to Dowager Marchioness. In the August time lapse video below, you can see the gardeners maintaining the beautiful flower beds and see the colours burst out. Also, in between the borders they have planted delicate Chinese Crab Apple Trees. We started to record this phase back in February 2018, so watch this space for the final time lapse video. Similarly, we have also captured the landscaping of a garden at the RHS Chelsea Flower Show. To see more of our time lapse videos visit our gallery. Time lapse is an excellent way of capturing landscaping projects and seeing how quickly designs can take shape as you watch the garden unfold. Back in May 2018, we had the pleasure of capturing the silver award-winning garden at the RHS Chelsea Flower Show – The Warner Edwards Artisan Gin Garden. The design was inspired by Falls Farm, Northamptonshire where every bottle of Warner Edwards Gin is distilled. The time lapse camera was installed for 10 days to capture the start to the end, with famous faces visiting the garden such as Monty Don and the presenter Alex Jones. 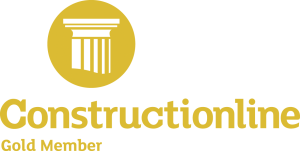 We are pleased to announce that we have been awarded with the Constructionline Gold Accreditation. This not only recognises our commitment to the construction industry but the importance we place on providing the highest standards of health and safety, and gives our clients the confidence that they are dealing with a company that is environmentally and ethically responsible. It is the UK’s leading procurement and supply chain management. This streamlines and improves the process by reducing risk and creates a common platform for buyers to engage with new suppliers. Why not talk to us today to find out how your project can benefit from time lapse photography from one of the UK’s leading providers. Lisgar Terrace in Hammersmith and Fulham is an inter-war development that Southern Housing Group built in 1928 to provide homes for those who needed it the most. Last year the regeneration of Lisgar Terrace (phase 4) began. Starting from August 2017 we captured the development at Lisgar Terrace and are continuing to record the progress. The design and build will preserve the historic building whilst maintaining the character of the estate. The time lapse video showcases the existing blocks stripped back to the shell and core. Also, the rooftops raised to create an extension for additional bedroom space. As well as this there is a major internal refurbishment with the replacement of the windows to match the original design. Using time lapse to document the regeneration encourages engagement within the local community. The residents can see for themselves the progress being made in a short 3 – 4 minutes video. To read more about the project at Lisgar Terrace click here. This weekend we captured the installation of the new bridge over the M1 in Leicestershire. In the video a huge trolley was put together on the carriageway which was then used to slide the constructed bridge across the motorway. This bridge will help alleviate traffic travelling through local villages and forms part of the Kegworth Bypass. To find out more about the installation and watch the time lapse video here. The construction of the new Chiswick footbridge is well under way. The 135m bridge will connect Chiswick Business Park with Chiswick Park train station. Our team captured the progress from October with the project targeted for completion in December 2018. 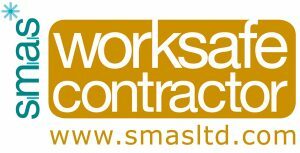 We’re pleased to have gained a SMAS Worksafe health & safety accreditation. This means that we have met the SSIP core criteria recognised by the HSE and other SSIP accreditation schemes. We are always working to achieve the highest health & safety standards at all times. Meeting this Criteria shows that we are serious about H&S and have (and use) an effective H&S management system. Ever wondered how they build an ice rink outdoors? Well, check out the time lapse video below which shows the ice rink build process. We recently deinstalled our cameras from both Portsmouth and Southampton which captured skaters having fun this winter. The one in Southampton took a month to film, from December to January, and was the first ever real ice rink at West Quay. Watch the transformation on Guildhall Square in Portsmouth, and see the 646 sq ft ice rink come to life with this time lapse video. Filming took place in November until December to capture the build progress and the skaters on the rink. Tredegar House is a 17th-century mansion house in Newport, Wales. Last year the National Trust began a 10 year project of conservation and commercial development. The key task of the renovation was to restore the roof over the north-west range of the Tredegar House, which had been leaking for a number of years. They removed over 35 tonnes of Welsh slate! The leaks in the roof were not only posing a threat to the precious collection inside the house, by altering the humidity levels, but were causing the conservation team hours of work carrying buckets of rainwater out of the house. Why did the National Trust use time lapse? The nature of the project meant there were limited opportunities to share with visitors the work that was actually happening up on the roof. The National Trust decided to use time lapse to capture the progress of the project not only as a means of record but also to share with those people the full extent of work that had taken place which the house had been under scaffolding. The time lapse project took 11 months to complete, capturing the restoration on the roof to the unveiling of scaffolding to reveal the historic Tredegar House. View the final time lapse video below. We recently de-installed a time lapse camera from a site in Wolverhampton for ERA Home Security. They are moving from a site that was 80 years old to a brand new purpose built building to support their growth and help transform the business. As it is a huge event in their company’s history, and they were keen for their employees to buy into the change, they decided to use time lapse so everyone could monitor the progress. It is situated on the i54 technology business park in Wolverhampton, and will bring the existing sites across the midlands together into a central head office and distribution centre. It will also be home to ERA’s state-of-the-art manufacturing, R&D and product development. We captured the project from start to finish which took around 10 months to complete. Watch the whole time lapse video which we put together for ERA Home Security below. We are delighted to announce that Sam Croft, our Time Lapse Surveyor and Technician, has been PASMA accredited in Mobile Access Towers for Users. The course involved legislation, regulations and guidance affecting working at height with mobile access towers. Using the PASMA Code of Practice, Sam was trained to assemble, alter and dismantle towers incorporating current best practices. This accreditation ensures we conduct a safe, efficient and reliable installation using mobile access towers. At Time Lapse UK health & safety is our main priority, and this is why all our time lapse technicians undertake the latest training. Read more about our health & safety. Time lapse is a fantastic visually appealing tool which brings projects to life. So of course our clients are eager to see their time lapse in action and how their projects are developing. This is why we have introduced our new instant time lapse video feature, located conveniently in the online portal. This means that our clients can easily access the latest time lapse video at any time during the project. Great if you would like to monitor progress or would like a sneak preview ahead of receiving the monthly videos. We are continually developing our services to meet and exceed client expectations. So with 24/7 access to a secure online portal, high resolution images, and our new instant time lapse video feature, there are now more reasons for you to choose Time Lapse UK for your next project. To see how time lapse can benefit you contact our team here. Time lapse photography has become increasingly popular over the last few years as businesses look for innovative ways to get noticed. As a consequence Commission Air, which has over 25 years experience in commercial photography, launched their time lapse service over two years ago. As the time lapse market continues to grow and with advancements in technology, expectations of customers have increased, and are demanding a better and an enhanced product offering. In view of this continuing trend, Commission Air launched Time Lapse UK which will focus on increasing customer choice, providing a quality and dedicated service at a highly competitive price. It can take as little as half a day to set up the cameras, which are robust and certified for outdoor conditions. These cameras are then set to capture the work on your site for as long as you need it – a day, a week, a month, several months or even several years. Images are fed to a secure server via a 3G connection, and authorised people can view the still images in real time. All projects are given a full video at the end of every month, so that they can share progress, and then a fully edited and professionally produced video is created at the end of the project. Time lapse photography is suitable for indoor and outdoor events – helping organisers, project managers, PR teams and marketing departments to capture the very best footage to show employees, directors, investors and stakeholders. Contact our expert team here.